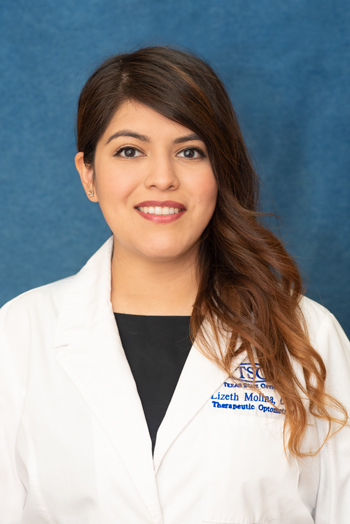 The eye care professionals of Northshore TSO, specialize in understanding how the human eye really works, as well as diseases and conditions that affect your vision—many of which do not always have obvious symptoms. 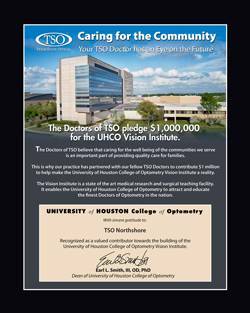 Eye doctors of Northshore TSO located just east of Houston know how age and risk factors affect vision over time for young and old, and they understand the benefits and features of corrective lenses, both as eyeglass lenses and contact lenses. 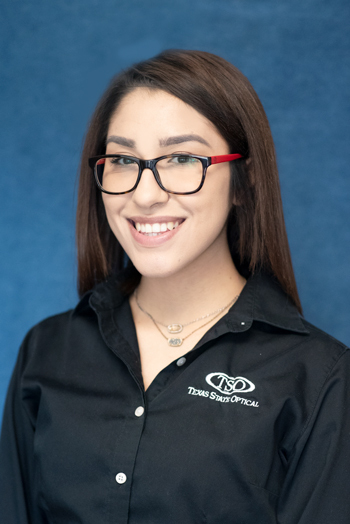 At Northshore TSO, our optometrists take the time to explain the results of your eye exam, describe your options and listen to your eye care needs. Because maintaining good eye health is an ongoing partnership, our eye doctors encourage you to ask questions and share your health information, which could be vital to monitoring, diagnosing and treating potential vision problems. Dr. Michael Tran is from Houston, Texas and formerly attended the University of Houston. Dr. Tran has been in the Optometry field for over 6 years. Being very nearsighted since he was a child, Dr. Tran became extremely familiar with his family Optometrist over the years. 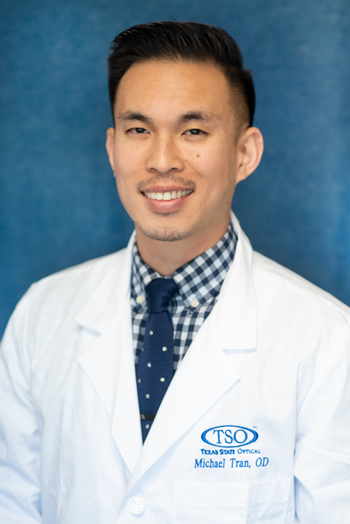 “Seeing how someone can affect a person’s life, by helping them see better… made me want to do the same for others.” stated Dr. Tran, in regards to making Optometry his field of choice and passion. Dr. Tran is specializing in full scope Optometry, Anterior Surface Disease and Contact Lenses. His professional interests include Diabetic Retinopathy, pre and post-op Cataract Exams as well as Dry Eye Syndrome. Outside of the office, Dr. Tran thoroughly enjoys experimenting in the kitchen, always looking forward to a good dish! He also loves to fish, explore Houston and traveling to as many places as he can. Dr. Tran also speaks English and Vietnamese fluently! 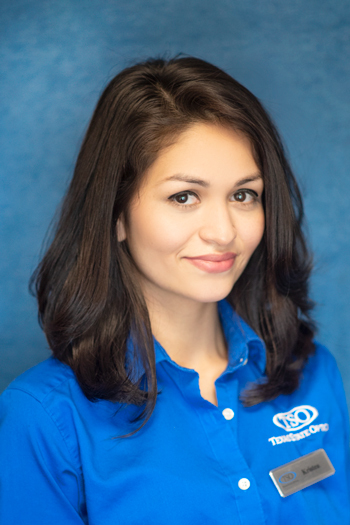 Come to Northshore Texas State Optical, where Dr. Michael Tran looks forward to helping you! Dr. Mann was born and grew up in the Mid-west, in a town in the South-East corner of the State called Nebraska City, NE. He moved to Houston to escape the extreme weather in the Mid-West. Dr. Mann attended High School in Nebraska City and did his undergraduate work at the University of Nebraska. He earned his Doctorate in Optometry from the University of Houston in 1984. 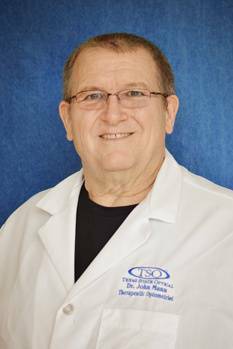 Dr. Mann has been around the eyecare field most of his life. His Uncle was an Ophthalmologist, his Father was an Optometrist and his brother practices Optometry in Nebraska. Helping people see and restore their eye-sight is extremely rewarding for Dr. Mann. This is why he chose to be an Optometrist. “From young, first-time glasses wearers, to people with eye disease, nothing is more precious than eyesight”, he states. Having great experience in the Optical field, Dr. Mann always comes in with a positive attitude and is fluent in Spanish. Dr. Mann specializes in treating Eye Infections, Allergies, Glaucoma and Dry Eye. His professional interests include LASIK Surgery Management and Macular Degeneration. In his spare time he likes to garden, read and spend time with his family and Grandchildren. 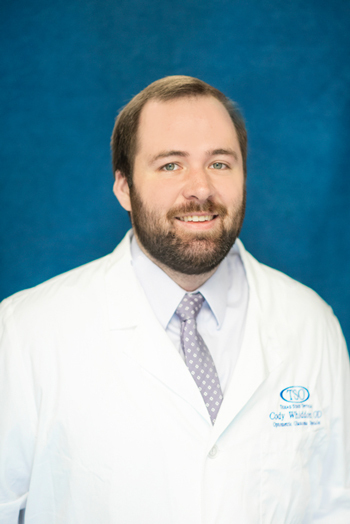 Dr. Whiddon is originally from Beckville, Texas, graduating from Baylor University with a degree in Biochemistry in 2013 and graduating from the University Of Houston College Of Optometry in 2018. He started working as an Optometric Assistant in 2013 and worked through most of school. Dr. Whiddon has always had an interest in healthcare and genuinely enjoys meeting new faces and helping people. “Being in the Optical field allows me to do both.” says Dr. Whiddon. Dr. Whiddon specializes in primary eye care, dry eye disease and fitting of specialty contact lenses, including scleral lenses and corneal refractive therapy lenses. He is particularly interested in the evolving management of dry eye disease as well as managing keratoconus. Being a part of TSO for over 28 years has given Suzie the privilege of seeing several generations of patients. Building relationships with patients is something she takes pride in. 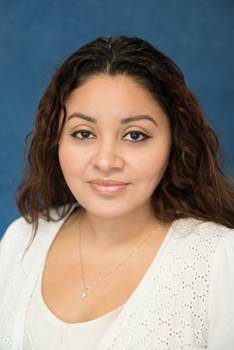 Suzie looks forward to continuing to meet new patients and their families. She states: “It’s exciting to be a key part of a progressive, leading edge practice. 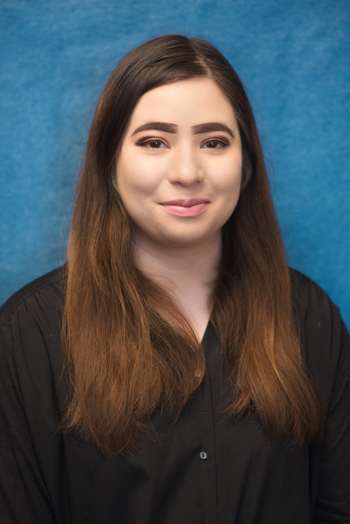 The most important part of my job is to make sure every patient feels welcomed.” Suzie’s favorite part about her job is working with all of the patients and her co-workers who are her family! 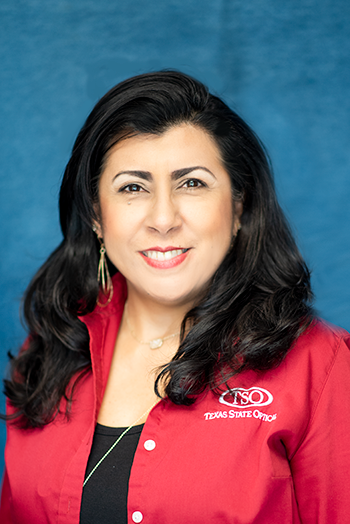 Ms. Marquez is such a great attribution to the team who gives 110%, providing so much positivity whom is also fluent in both English and Spanish. Her proudest accomplishments are her children and beautiful grandbabies. Outside of work, Suzie thoroughly enjoys spending quality time with her grandchildren and going to Church! Daniel concentrates on his primary responsibility which include managing the complex operation of the lab. His goal is to ensure the production of eyewear is as accurate to prescription, ready as promised and meets TSO’s quality check standards. 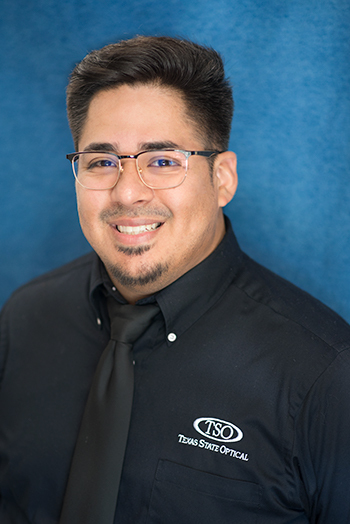 Daniel’s career plans are to advance with Texas State Optical as much as possible. 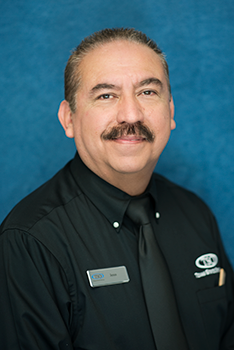 He is a great attribution to the Northshore team and is great at what he does! His favorite part of the job is being able to communicate with the patients and being able to help them see better. He is a hard worker at everything he does who also helps with the Reception Desk, answering phones and Frame Styling patients. Daniel also speaks Spanish and English fluently. His proudest accomplishment is being a Manager and running his own Lab. Outside of work, Daniel thoroughly enjoys four wheeling, attending sports games and spending time with his family and friends. 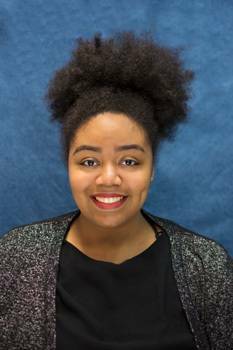 Nia is currently enrolled at San Jacinto College North. After she gets her Bachelor’s Degree she will transfer to HBCU or a University in Texas. 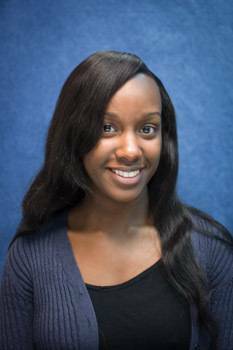 What makes Nia’s job most enjoyable is assisting people on a daily basis. Nia thoroughly enjoys giving patients their Preliminary Exams. 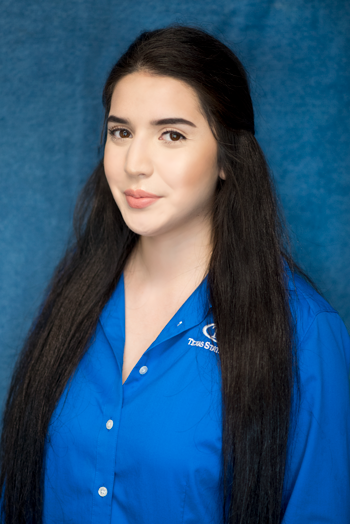 Nia has a positive, fun attitude whom is able to assist our English and Spanish speaking patients, being a fluent English and Spanish speaker herself. 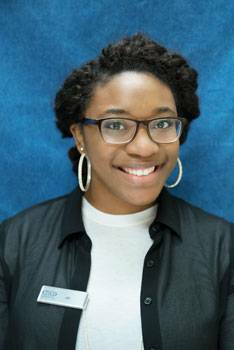 A proudest accomplishment for Nia is getting 1st and 2nd place in her High School Chess Team. She stated when she first started playing, she didn’t think she would be able to get that far but won 1st and 2nd place in several competitions. In Nia’s spare time she enjoys listening to music and fixing her hair, which is also something that relaxes her mind as well as herself. Maya Angelou, an American author, poet, and civil rights activist has given a quote above that is inspirational to Nia.